Chip Somodevilla/Getty ImagesPresident Donald Trump. President Donald Trump wrote a blistering op-ed in USA Today on Wednesday ahead of the midterm elections in November. Trump’s op-ed echoed long-standing Republican concerns about the Democrats’ big-government approach. President Donald Trump wrote a blistering op-ed in USA Today on Wednesday attacking Democrats as “radical socialists” and accusing them of being a great danger to “every single citizen” before the midterm elections in November. The president specifically homed in on the libertarian Mercatus Center’s finding that Independent Sen. Bernie Sanders’ “Medicare for All” plan would cost the federal government an additional $US32.6 trillion over 10 years. But the report also found that Sanders’ plan would create savings that would push down the cost of healthcare and provide access for more than 30 million uninsured Americans. While the Democratic Party has seen a rise in self-identified socialists running for – and winning – seats, the party at large remains largely committed to a free market economy. In the US, the term socialism often becomes conflated with public welfare programs run from tax revenues generated by free market enterprise, as opposed to a system with solely state-owned businesses. Some members of the Democratic Party do support an overthrow of capitalism, though they haven’t reached national office on that platform. 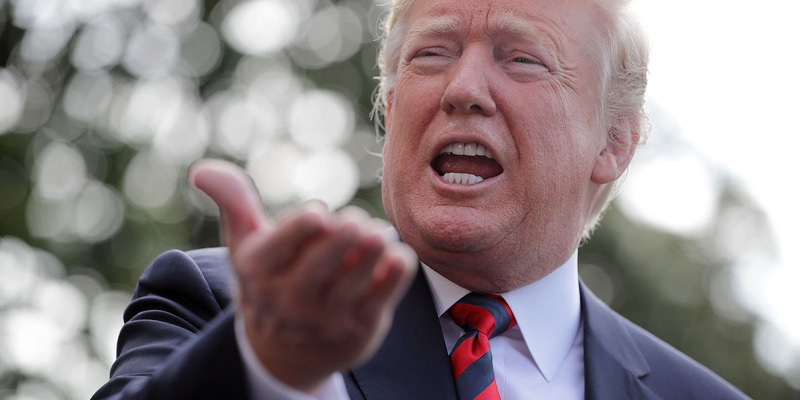 The majority of the complaints Trump brought against Democrats actually echoed long-standing Republican gripes against the big-government approach of their opposition, though they were delivered in his signature bombastic tone.